If you are thinking of an ideal place for your vacation in a Southeast Asia country, why not consider Vietnam as your next destination? Forbes just released a list of the least expensive countries, and Vietnam is one of them. Vietnam stands out as a low-cost travel destination in South Asia. Reasons for choosing this as a must-visit country of travelers are pretty the same: fast processing Vietnam visa online application, affordable luxury resorts, beautiful landscapes, and delicious and healthy food at low prices. The North area of Vietnam is an ideal place to explore natural sights and ancient culture. From Hanoi – a unique combination of traditional senses of a capital and the dynamic atmosphere, just with 20 dollars, visitors can take a city tour with a local guide on foot or by motorbike. Also, cheap accommodation makes Hanoi as a budget-friendly city where tourists can book a room for less than 70 dollars per night. Hanoi has continuously been on the lists of most valuable destinations. Food is a serious business in the country where a street meal and a beer can cost the same price as coffee from Starbucks. Thanks to the help of a local tour guide, foreign tourists will be taken on an adventure to taste a variety of street food like pho or banh mi. 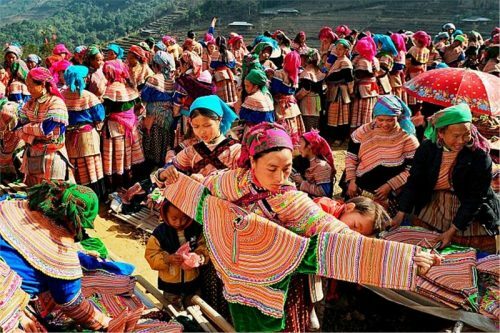 Head to mountainous and highland areas, Sapa and Ha Giang are great places to explore the authentic culture of Vietnam’s ethnic minorities. Natural landscapes in Ninh Binh, Ha Long Bay or amazing national parks in lovely islands are also perfect alternative places to be included in tourist’s travel itinerary. Meanwhile, the central area is ideal for low-budget travelers. According to Green Visa team, Da Nang is known as the most worth living city in Vietnam. The price here is much lower than Hanoi with better services. Hue with valued heritage will bring visitors back to one of the golden time of Vietnam history. Keep heading towards the South and Ho Chi Minh City is a great place travelers cannot miss. This most modern and dynamic city will not be different from other cities if visitors do not take part in the nightlife and crazy shopping activities. Skyscrapers, nightclubs, and cafes are top spots for young locals and foreigners. From Ho Chi Minh City, taking a boat or coach trip to discover another part of the South called Mekong Delta is also exciting experiences. Tien Giang or Can Tho with tropical fruits and beautiful rice fields cannot be missed for travelers who like peaceful atmosphere and friendly villagers. In recent years, Vietnam-China comprehensive strategic cooperative partnership has been established to enhance the cooperation in culture, tourism, and jobs of two sides. In an attempt to attract more Hong Kong vacationers to visit Vietnam, the government has approved to release a new visa online system for foreigners to apply for Vietnam visa Hong Kong. This type of visa allows travelers from over 163 countries to conveniently apply online for a Vietnam visa on arrival through governmental agencies. Witnessing the rapid development of Vietnam tourism and desire to help foreign travelers to easily get a visa to Vietnam, Green Vietnam Visa Agency provides professional advice and smooth system which ease the process of applying for a Vietnam visa without the hassle of dealing with paperwork and confidential documents. Hong Kong passport holders can get more exact information of Vietnam Visa on arrival or get access to http://www.greenvisa.io/ for more details of Vietnam visa application and visa fees.